Hello! I'm a Los Angeles based artist and game developer. I was a lead on the much anticipated Frog Fractions 2, which launched December 2016. My style is flexible and it continues evolve; from cartoons, poster art, fantasy creatures in 3D and animations to landscape and background design. I'm excited about the possibilities and future of games, and love working with others to make immersive experiences. I'm always looking to collaborate with other game developers on projects, either as an artist, developer, or more of a director, and can't wait to see to what comes next. For fun, I enjoy drawing monsters or baking – my specialty is intimidating chocolate cookies. 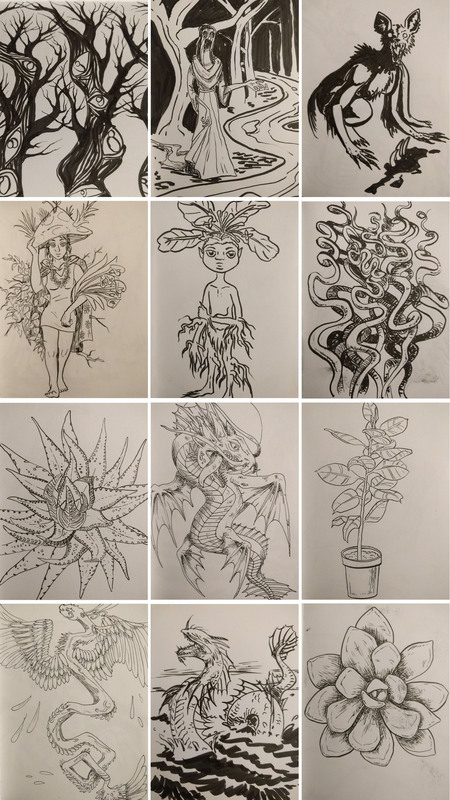 I also run a blog where I show off some works in progress, sketches, game design analysis, and some of my thought process behind some of my artwork, designs, and side projects. Most recently I participating in the Half Life 3 Game Jam. I currently work out of the indie dev collective Glitch City. Contrary to popular belief, I am not a lizard. Here I am hanging out with Ian on Easy Update! An absurdist comedy game lauched in 2012 that took the internet and the gaming community by storm. Ultimately, it is not educational, but it is about the joy of discovery and the spirit of exporation. I worked as a developer and lead artist on it. We were Giant Bomb's URL Of the Year and recieved an Honorable Mention in IGF's 2013 Nuovo category. Frog Fractions is ultimately not a game that is easily described, and is best experienced. It is partially an homage to games from years past, but also it's about fun, discovering mysteries for yourself, and the design philosophy "wouldn't it be cool if...?" It's available to play for free on a link below, and takes about an hour. 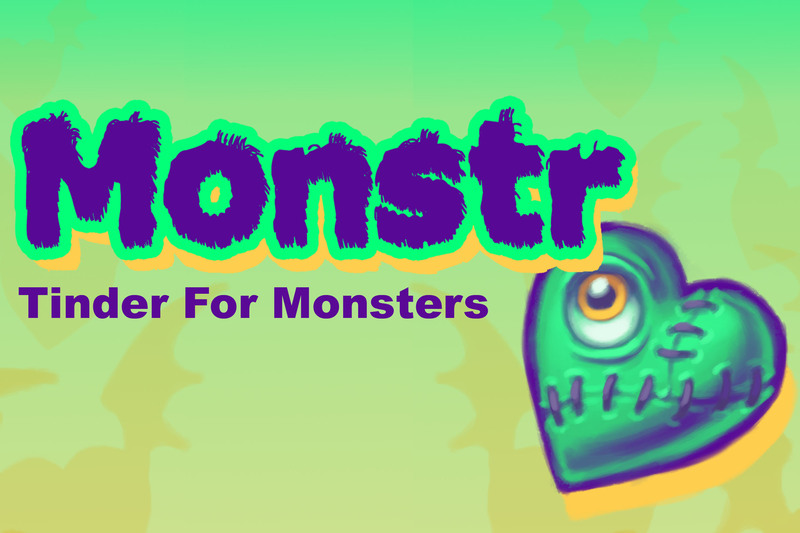 It originated as an attempt for me to learn some basic programming and animation in HTML5. I was told the best way to learn was to make a simple game, and I decided to make a missile command clone. However, I found missiles and asteroids boring, and chose to draw frogs and bugs instead. I made the game, found it tedious, and enlisted the help of a friend, now codeveloper, Jim Crawford. We kept adding to it, powerups mostly, and asked ourselves "why does it need to stay a missile command clone?" Then, it got weird. 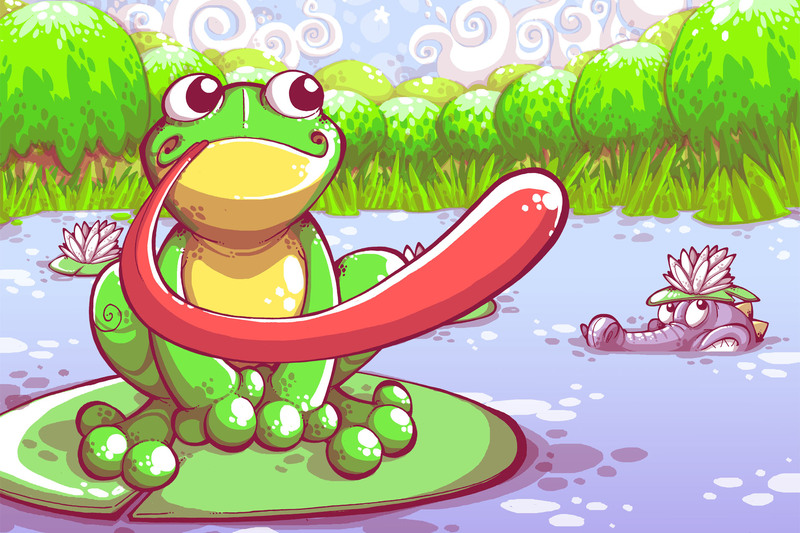 A spiritual successor to the original Frog Fractions, Frog Fractions 2 was launched on Kickstarter in Spring of 2014. 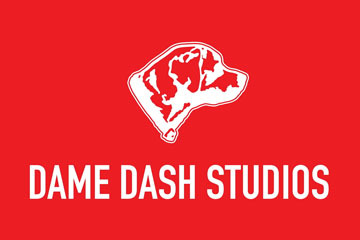 It was successfully funded, with the unusual request that the players trust the developers, and neither the name of the game nor the time of launch would be announced. The Frog Fractions 2 project was created with the purpose of bringing back wonder and mystery to video games -- all video games. 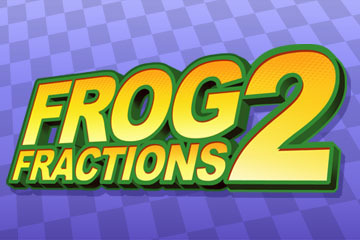 Frog Fractions 2's design diverges from that of most games in that it values mystery, surprise, humor, and similarly, Frog Fractions 2's marketing diverges from that of most marketing in that it values mystery, surprise and humor over "actually selling the product to people." The intent of all this is to provide a sense to the jaded player that there might be surprises left in the world -- not just in one of our games, but everywhere. 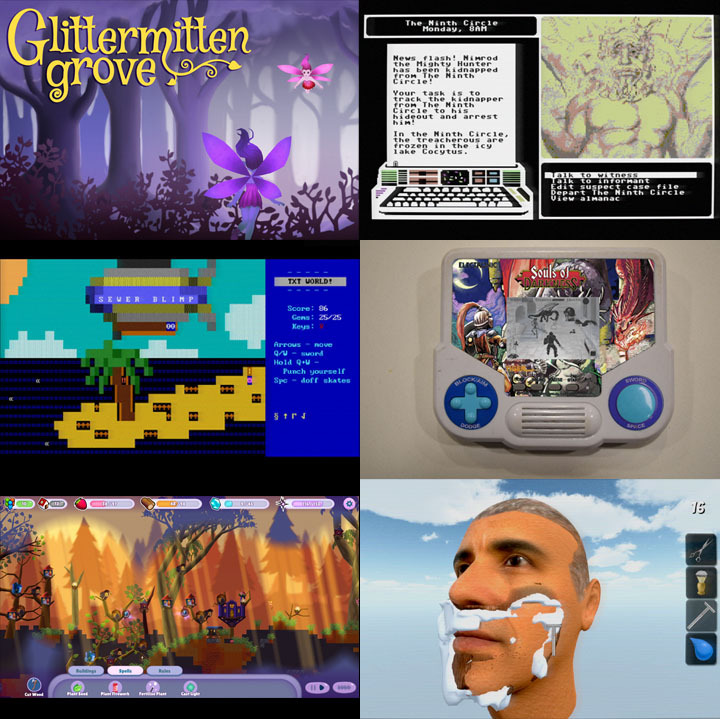 We successfully launched Glittermitten Grove after working on it for nearly three years and were met with enthusiasm from the fans and community at large. We had various goals and ideas for the overworld and minigames, and I was given free reign to adhere to the themes and do what I felt worked. Glittermitten Grove is a game about MYSTERY, and DISCOVERING THINGS FOR YOURSELF, and BEING SURPRISED, so I won't tell you anything else. Average playtime is about around six to eight hours but can be much longer by choice, and has a lot of replay value. 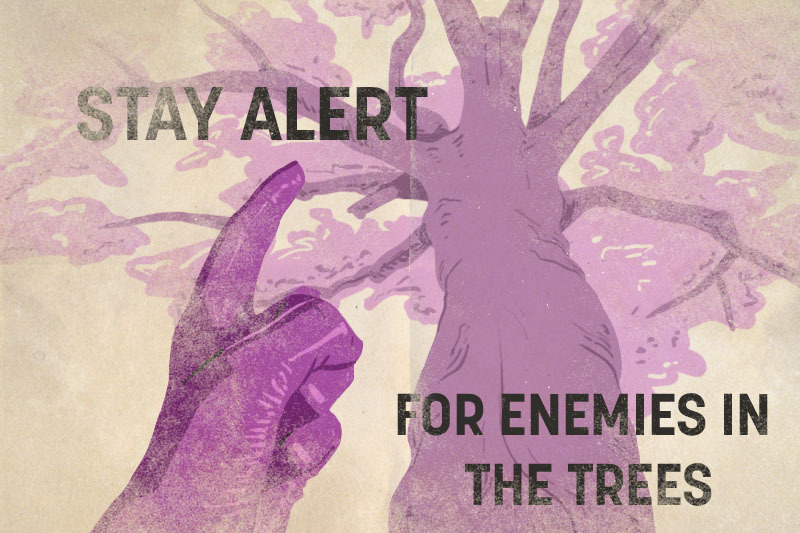 I worked as the art director and the lead artist for this project, along with a bit of writing, design, and marketing. I was responsible for entire art pipeline, from concept to execution. I also assisted with managing the critical path and timeline management, especially in regards to communicating with our publisher. I self-directed creation of a variety of assets including animations, pixel art, UI elements, 3d scenes, backgrounds, and digital illustrations. 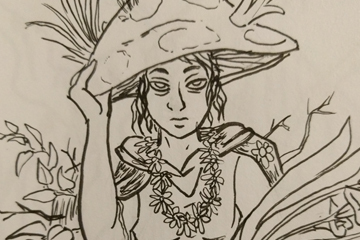 For the crowdfundig portion, I worked as the marketing lead which led to $72k in funding. I also maintained a social media presence for the game, which was a bit of a challenge because I couldn't outright say what we were working on, only that we were still around. 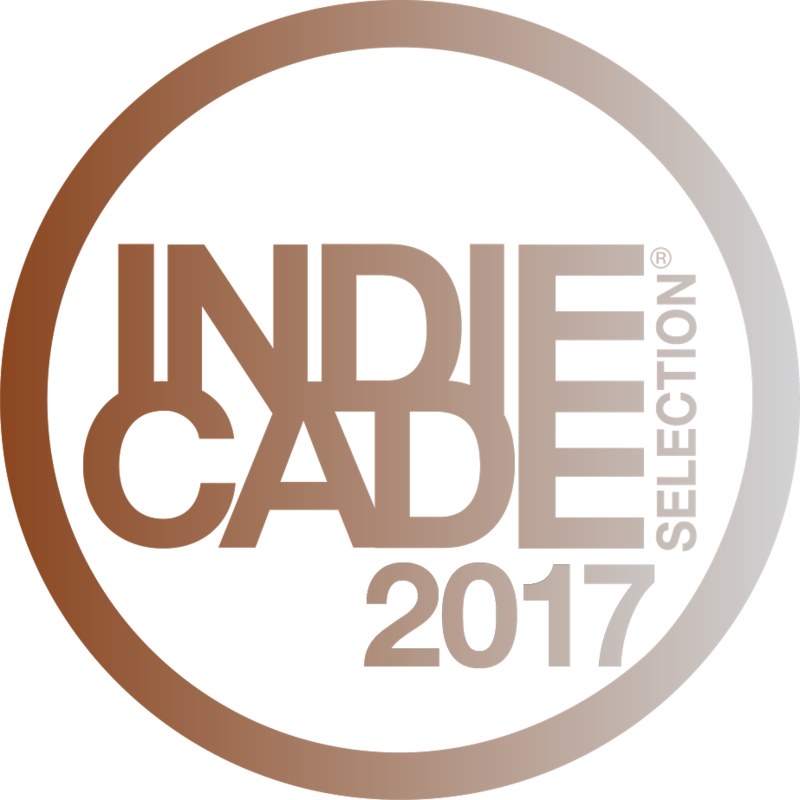 I applied and was accepted into the E3 Showcase and as an Indiecade Finalist. I was asked to work on minigames for Dream Daddy and provide some additional artwork, namely for Brian and Hugo. Brian's fishing minigame was my favorite, I was asked to choose six species of similar looking freshwater fish native to the Pacific Northeast. I used to work at an aquarium, so it was a pretty easy choice for me. I even provided the facts Brian tells you as you play! I also enjoyed animating the penguins. Dream Daddy: A Dad Dating Simulator is a game where you play as a Dad and your goal is to meet and romance other hot Dads. You and your daughter have just moved into the sleepy seaside town of Maple Bay only to discover that everyone in your neighborhood is a single, dateable Dad! Will you go out with Teacher Dad? Goth Dad? Bad Dad? Or any of the other cool Dads in this game? With minigames, sidequests, and a variety of paths and endings, Dream Daddy: A Dad Dating Simulator is this year's most anticipated Dad-based game. Each playthrough takes three or four hours. The stars are bright. 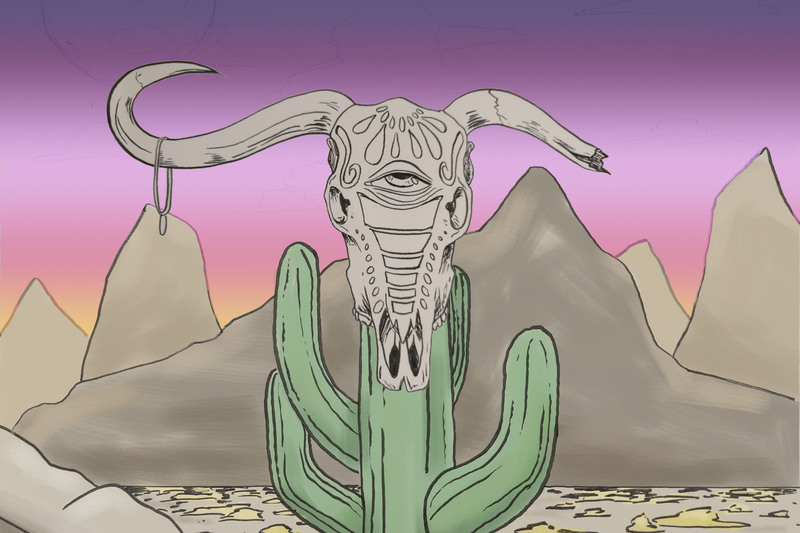 The longhorn skull-god and the many scuttling skeles of the desert want you to tell them a story about tonight's spookiest constellation. Each playthrough is about five minutes. 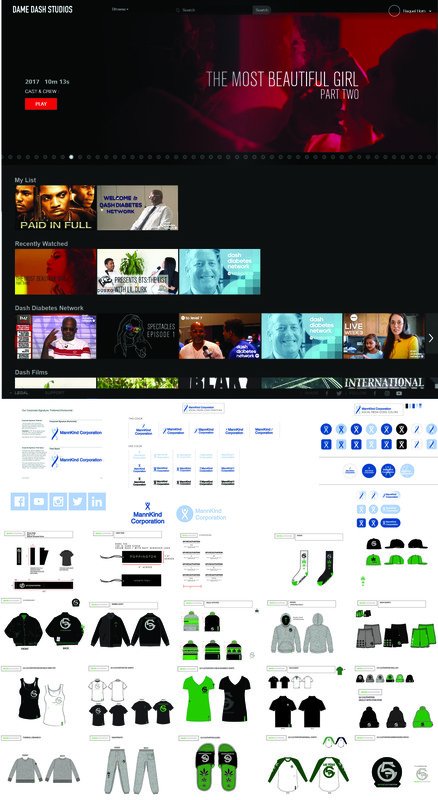 Some of the assets created for the ARG, which was used to market and involve players in the production and development of the game, especially since due to the secretive nature of the game there could be no updated progress. That spun into a globe-trotting, years-spanning ARG -- multiple ARGs, actually, that players didn't know were connected together at first -- which players had to solve in order to launch the game. One ARG brought together an unprecedented number of independent games developers to collaboratively design an enormous metapuzzle, chunks of which would be hidden throughout their own otherwise-unrelated games. Just as hundreds of players needed to collaborate to solve the ARG’s mysteries, developers came together to collaborate with us on forging the puzzles for these players to solve. The software itself, like the ARGs, is a sprawling mess of surprises, chaos, weird ideas and strange UX decisions, which telegraphs very little of its scope up-front. Baffling choices and seemingly impossible tasks reveal their logic in time, and each revelation propels the player forward, both towards new mysteries and the game’s inevitable conclusion. Even when that conclusion is reached, there is no indication that the game’s depths have been plumbed – there is almost certainly a great deal more still lurking, iceberg-like, in the depths. These were a series of images I made that we put onto a Mario Amiibo, which the players won by playing us at chess. They had to use a RFID reader to extract the images, which hinted at the larger story that would lead to Frog Fractions 2. 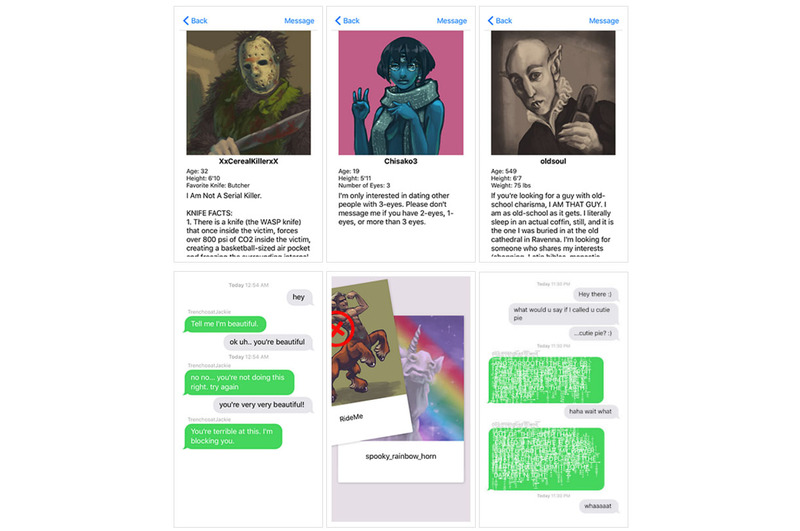 A satirical iPhone game that pokes fun at the modern internet dating scene. Playtime is about ten minutes. 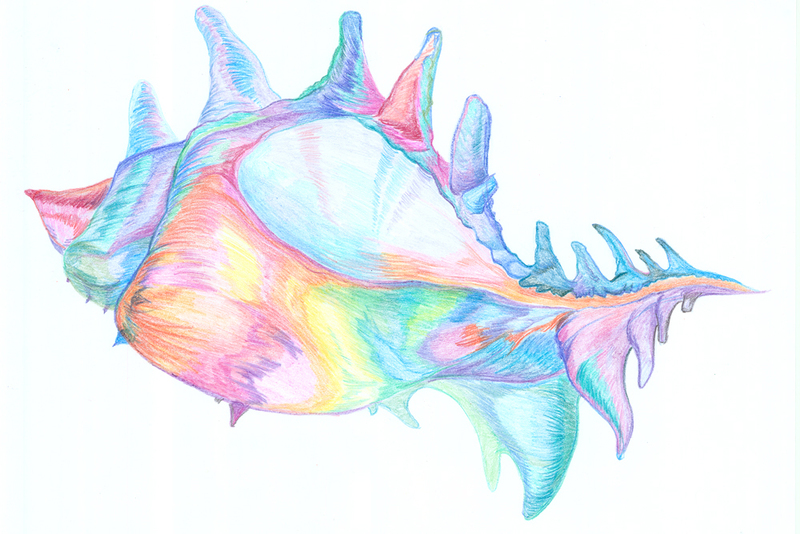 Freeform exploration of what nature is and how we percieve it. 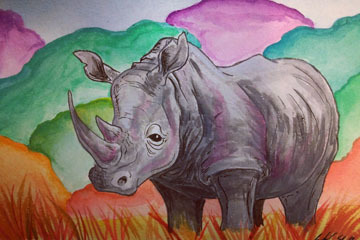 Commissioned pet portraits, wildlife illustrations, and other subjects. Ink sketches of the imaginary and the real. 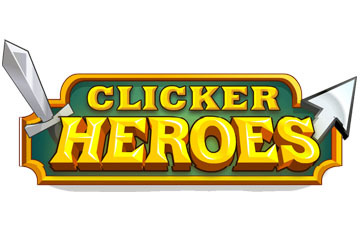 Character and UI elements that were created for the Clicker Heroes Summer update. Some of it I can't quite share. The others are concepts for player characters for a board game that hasn't been announced yet. I was hired by a private client to work as the assistant art director and manage a variety of their projects. 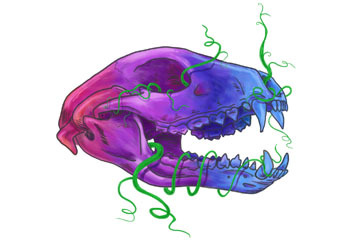 I started by creating artwork and helping manage content for their independently run streaming site. I eventually took on more responsibilities, and started working on branding and merchandise creation for a Las Vegas based medical dispensary in which they had invested. These duties expanded to assisting with rebranding a pharmaceutical company and assisting with the managing a small content creation team. Managing three aspects of the company can be a challenge but I enjoy keeping track of what needs to be done by when and making sure all of the parts are moving together in synchrony. Again, I can't quite share everything I've been working on.